West Indies Women won by 6 runs. And so we know our finalists for the Women's World Twenty20. Will West Indies men join the women's side, or will India continue their own party to the very end? Join us in 40 minutes to find out. Want to relive the Windian win? We've picked out some highlights for you right here. West Indies batter Britney Cooper: "Well I must say congrats to my amazing team, we worked really hard. To finally cross that border, we have had four semi-finals, we did so much hard work and I’m so thankful to God for giving us this final." "New Zealand will be feeling they gave that away with a couple of those shots." For the second time in two days, an unbeaten New Zealand team lose a World T20 semi-final. West Indies go on to play Australia in Sunday's final. "How exciting for the West Indies. New Zealand have been in great form coming into this but Britney Copper, the move was genius, they sent her out there and she played with freedom. "Well done to the West Indies, they really deserved that." "The West Indies celebrate, leaping all over each other." A run out off the last ball. 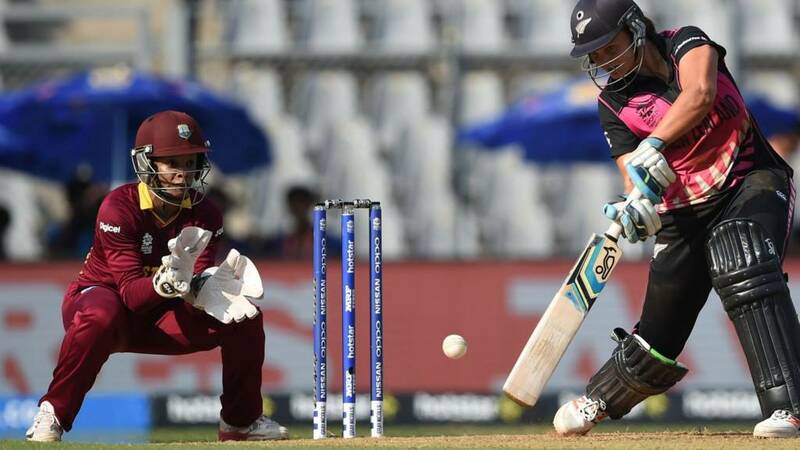 West Indies upset New Zealand and reach the final of the World T20 for the first time. Wonderful stuff. "It has not been a very good over this from Dottin." Only a single. Nine off two. "She had it and pretty much threw it onto the boundary." Better. A single. A better throw and we would have had a run out. Not a great start to the last over by Dottin. A wide.